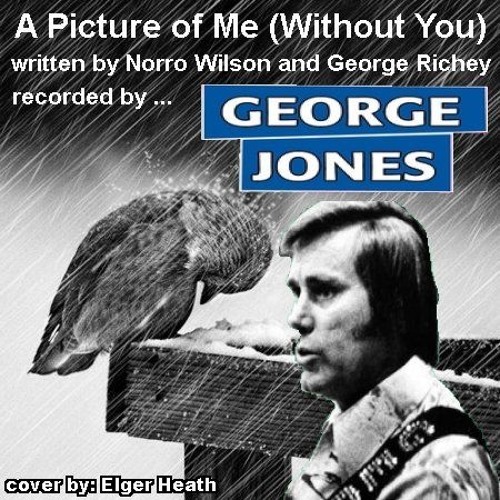 Always the master of words that form pictures in folks minds, George Jones recorded this hit in 1972. Written by Norro Wilson and George Richey, this song was written specifically for George and when it was first shown to him Norro Wilson sang the song for George "imitating the Jones style to show how he wanted it sung. The narrator tells his lover to imagine incomplete things, like "a world where no music is playing, a church where nobody's praying, a sky with no blue", and by seeing this, she can see his life without her by his side. A song like this and a singer like George Jones is like throwing a match into a pail of gasoline. The results were to be expected. The song shot to the top of the charts and is one of the great pieces that will be associated with George Jones. I'm not even going to try to match him. This is just a simple one-track cover of a great song that deserves all the credits it got and more, as a recording and a great piece of lyrics. Here is my cover of 'A Picture of Me (Without You)'.